Lucy Yang has the latest developments in the death of a Staten Island boy. 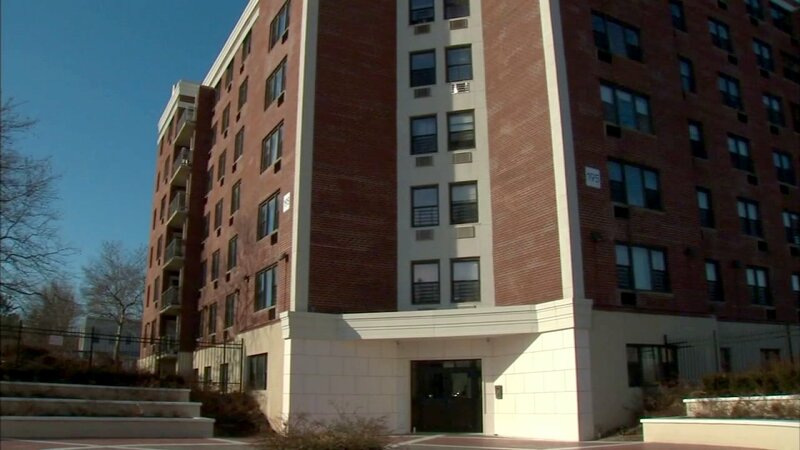 PARK HILL, Staten Island (WABC) -- A 16-month-old boy died after he went into cardiac arrest while with a baby sitter on Staten Island late Sunday. The child, identified as Anthony Delgado, suffered the cardiac condition in his apartment building on Steuben Street in the Park Hill section and was rushed to Staten Island University Hospital North, where he was pronounced dead. Dozens remembered 16-month-old Anthony Delgado at a candlelight vigil outside his Staten Island home. Eyewitness News learned hospital doctors observed possible signs of trauma on the baby's body. Police say the 31-year-old baby sitter, believed to be a resident of the same apartment building, had been taking care of the child for two days. Police are questioning his 31-year-old baby sitter. They're also talking to her boyfriend. The baby sitter has 9 prior arrests. Investigators believe the mother used the babysitter to watch little Anthony at least six times. The Medical Examiner will determine the cause of death. An autopsy is scheduled for Tuesday.